HTML5 is the fifth and latest version of Hypertext Markup Language which is the language that plays a key role in defining the appearance of a webpage. It was designed to resolve the problems that troubled the html web language, with HTML4 often slated for its poor functionality and compatibility issues. 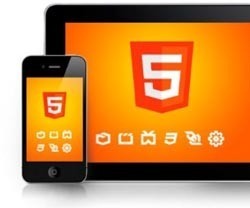 HTML5 is specifically designed for web and all major browsers are changing to HTML5 from flash. In fact, last year we at 3D Issue introduced a totally flash free digital magazine solution. What can you expect with HTML5? With HTML5, you can do everything without the need for added software such as browser plugins. It’s cross-platform allows you to work on any device such as smartphone, tablet, or desktop. It covers everything from animation to music, apps, movies and more, whilst it can also be used to build extremely complex applications that run in your browser. Your browser should function almost perfectly if it supports HTML5. HTML5 is an excellent choice for sales and marketing purposes where you can reap the benefits of video players, faster websites, and attractive look. Your audience want something that’s fast, simplistic, and nice to look at. With HTML5, your sales and marketing team can thrive, producing engaging content that’s quick to load and works brilliantly on any device. 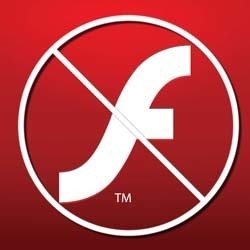 In September last year, the death of Adobe flash was well underway as Google Chrome began blocking all flash content. Flash played a pivotal role in years past however in recent years it’s performance showed many flaws and security issues. Change was imminent, with major companies such as Google and Apple moving away from Flash and Adobe themselves recommending that people stop using it. With our version 8 digital magazine software release we introduced a totally flash free digital publishing solution. HTML5 is compatible across all browsers and platforms. The HTML5 doctype was made so that all browsers, including outdated ones such as IE6 can use it. The one URL will function perfectly on any browser on desktops, tablets, and smartphones. You needn’t fret over how your content will appear on your client’s devices. HTML5 offers you tools that can help you create stunning websites, documents, and digital magazines. You can make your content look remarkable with a professionalism attached. This impressive look will give your readers a great experience across all browsers and devices. The top-quality imagery and sharp text can make your digital magazines look extremely attractive. Files can be viewed online via a link in your browser meaning you don’t have to download them. This can push sales to your website and encourage your customers to stay there for longer. It’s quite easy to share your sales content with HTML5. By simply sending a link to your publication, your clients can access all your content at the click of a button. There’s no need to send an email containing large files. HTML5 offers a range of interactivity for you to show your sales content in the most engaging form possible. It allows you to use interactive features that enrich the user’s experience such as page flipping, video, audio, weblinks and social plugins. These features can be used to their full advantage by marketers. HTML5 provides you with benefits of working with organic search engines through advanced tags. It’s a must that your page be well structured HTML, easy to read by search engines and in a logical document structure. If this isn’t the case, it’s almost irrelevant the amount of content marketing and SEO that’s done to obtain a good rank. Your sales and marketing documents can be loaded fast. If you’re client requests to view a particular page, you can forward the link and that page will open instantly. There is no need to wait for the entire file to load and your client can find the information immediately. The HTML5 platform will allow for an offline cache. This is a tremendous advantage to businesses, like publishers, who can provide an offline web experience for readers on the move. HTML5 offers many benefits to marketing and sales teams. It eliminates the need for any plugins as it’s native to the browser. Time can be saved to focus on other areas as publications now load much faster and can run on any platform or device. There is improved security and the elimination of all the risks associated with Flash. If your company has no online structure then it’s guaranteed to perform poorly within search engine rankings. HTML5 is very SEO friendly. It also provides an array of design and presentation tools to develop publishing products and create improved websites. Within mobile, HTML5 is built to appear more like apps with the ability to scroll, navigate, swipe and zoom and without the need to download anything. It’s also easier to target users with promotions by showing banners on mobile. Feel free to download the free trial version of our software and create eye-catching HTML5 flipbooks. Our easy to use software allows you to instantly convert and publish your print publications into stunning online magazines.